The soprano, Raina Kabaivanska, was born in Burgas on 15 December 1934 under the name of Raina Jakimova. Following studies at the State Music Academy with Prokopova and Ilija Jossifov she won the famous Bulgarian Dimitrov Prize. After her debut with the Sofia National Opera in 1957 as Tatyana in Eugene Onegin, she went on to further studies in Italy. Her Italian debut in 1959 was singing Nedda in Pagliacci, this time under the name of Raina Kabai. At the La Scala in 1961 she sang in a production of Beatrice di Tenda. Appearing as a regular guest artist at the Royal Opera in London since 1962, she appeared in that year as Desdemona with Mario del Monaco as Otello. Between 1970 and 1974, appearing at the Arena di Verona, she was popular as Butterfly and Mimi. Since 1971 she had a contract with the Hamburg State Opera for guest appearances. Her debut with the Paris Grand Opéra was in 1975 singing Leonora in Forza del Destino. At the Rome Opera in 1988 she sang Elizabetta in Roberto Devereux and in 1989, Adriana Lecouvreur. Other guest appearances included Salzburg, Vienna, and the Bolshoi and Leningrad Theaters. 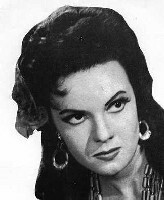 The United States 1962 debut of Raina Kabaivanska was in San Francisco singing Desdemona in Otello followed by her Metropolitan Opera debut as Nedda later that year. She continued singing at the Met for the next twelve seasons in roles that included Maddalena, Mimi, Elizabetta, Tatyana, Marguerite, Butterfly, Lisa, Manon Lescaut and Desdemona. Other appearances in the United States included Chicago, Dallas, New Orleans, Baltimore and San Francisco. Being a natural and highly individual actress, with a fine stage presence, she is particularly suited for the verismo roles of Tosca, Butterfly, Nedda in addition to Desdemona and Leonora in Forza del Destino.